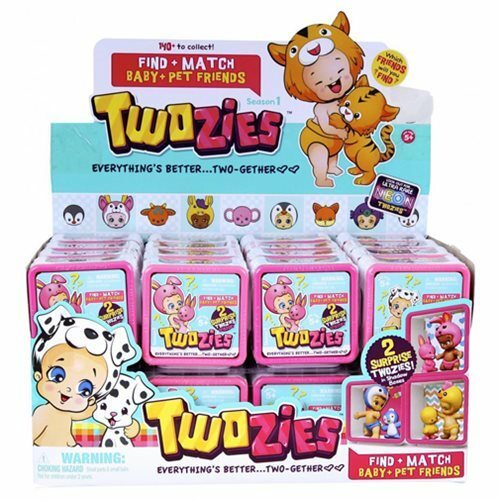 Help the Twozies find their lost pet friends with this Twozies Surprise Pack! Inside every surprise pack holds a baby, a pet, and a small shadow box with scene card to display your Twozies characters. Collect all 140 babies and pets in the series and use the included collector's guide to keep track. Ages 5 and up. This Twozies Series 1 Surprise Pack Mini-Figure Random 6-Pack contains 6 randomly chosen individually packaged packs.